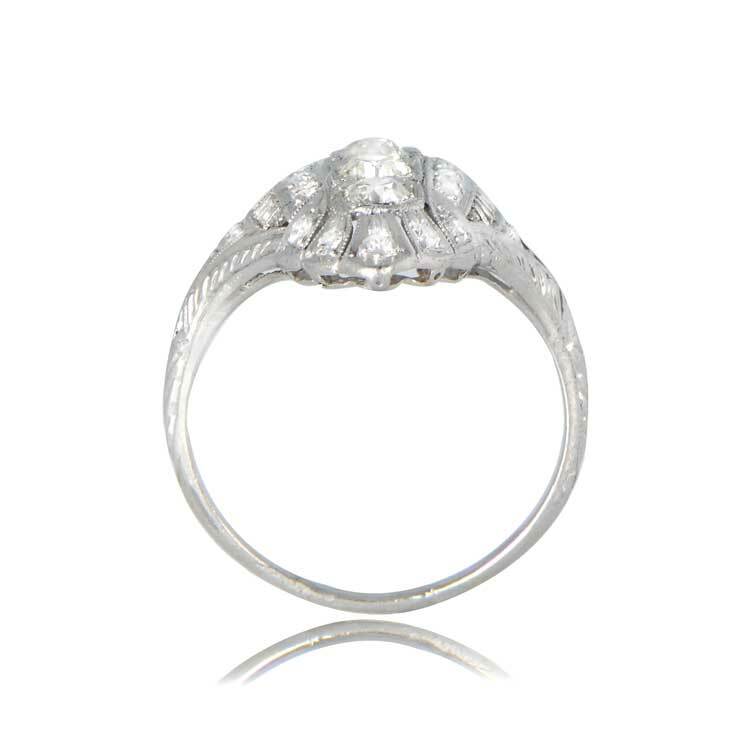 A elegant elongated antique ring that features four old mine cut diamonds set north-south weighing 0.18 carats each. 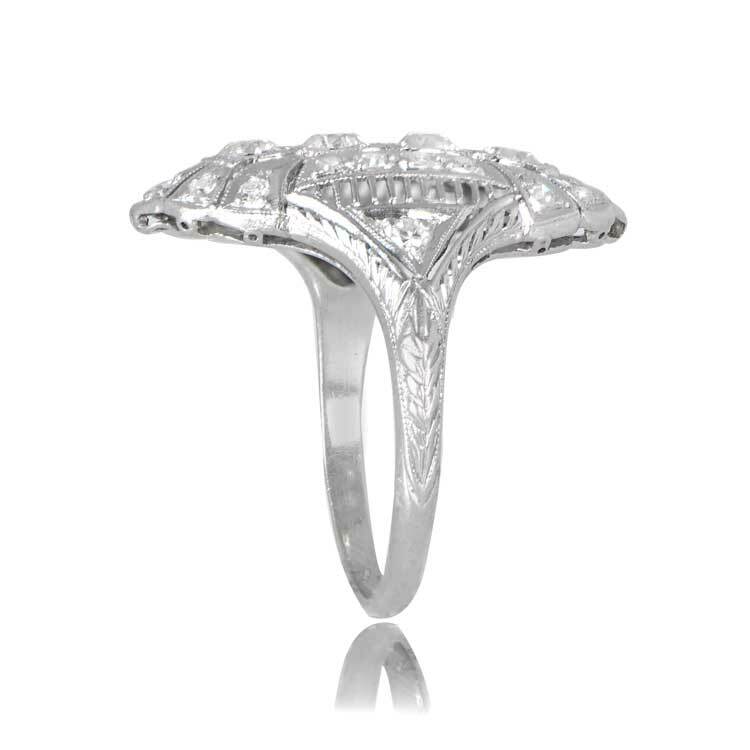 Surrounding and flanking the center section is delicate filigree work and diamonds. 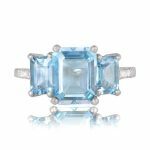 The total approximate weight of the ring is 0.96 carats, VS2-SI1 clarity, J-K color. The measurements of the ring 22.5 millimeters from top to bottom. 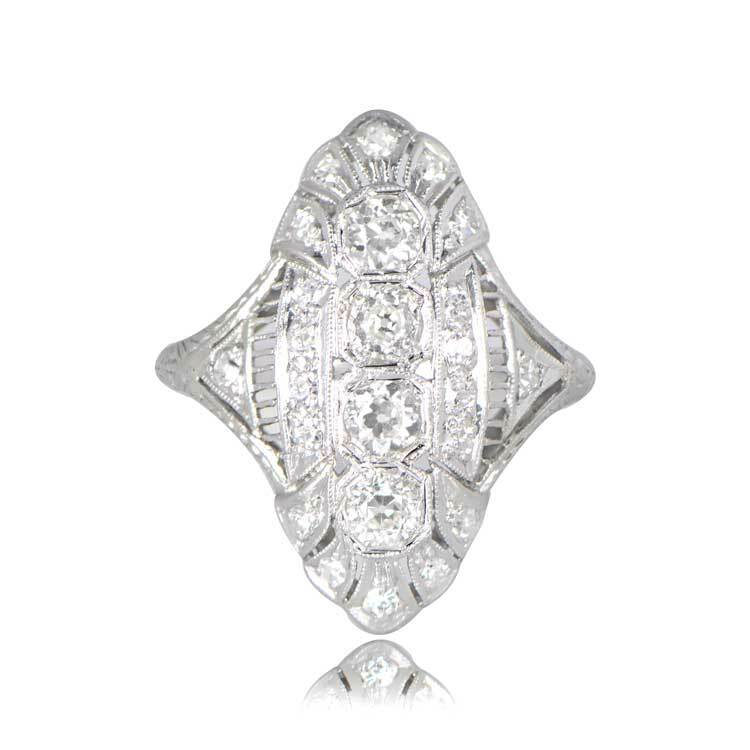 This ring is platinum from the Edwardian Era. 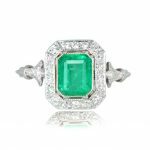 SKU: 12036 Categories: Vintage Cocktail Rings, Vintage Engagement Rings Tag: Elongated Engagement Rings - Contact us and request additional pictures.